A Power-of-Attorney is a useful planning tool in the event that you become unable to make important decisions independently. Disability can arise from a number of different causes, such as illness, injury, an accident, or old age. If you become incapacitated by a disability and you have not executed a Power-of-Attorney, then the court may decide who will act on your behalf. Having a Power-of-Attorney in place is the easiest way to deal with the legal aspects that could arise should you or your loved one need assistance with important decisions. In short, a Power-of-Attorney is a legal document that gives someone, often called an agent, the legal authority to make decisions for another person who is unable to make them independently. This can include both financial and medical decisions. In executing your Power-of-Attorney documents, you have to give the agent a great deal of power and authority. Thus, you should be sure to choose someone you trust and have confidence in to handle your affairs. In some cases, a trusted family member or friend may not be available to serve. Your family may live in another state or country. Or, you may not have any close family or friends that can be trusted with this responsibility. You may simply want to spare your loved ones the burden of handling your affairs if you become incapacitated. Whatever the reason, the Corporation of Guardianship can help. We offer you peace of mind, knowing that your future financial and medical decisions are in good hands. Are you or a loved one concerned about who might handle your affairs if you become incapacitated in the future? Are you a long-distance caregiver seeking support in your role as Power-of-Attorney? To discuss your needs, please CONTACT US. A Power-of-Attorney is a written document that allows an individual (called the “principal” in this context) to appoint another party (called the “agent”) to be in charge of specific medical, financial, or other legal decisions on his or her behalf. The agent can have the authority to deal with your finances and property and also your personal welfare. The purpose of granting such power is to ensure that, should you ever become unwell and be unable to manage your day to day finances or be incapable of making decisions about your personal welfare, your interests will continue to be protected by the agent you have chosen. How does the Corporation of Guardianship serve as Power-of-Attorney? Make routine and emergency medical decisions on your behalf. Make decisions about long-term care and residential placement. Follow your wishes about end-of-life care. Again, our role as your Power-of-Attorney can be as broad or as limited as you choose. Our responsibility is solely to you, and our job is to follow your instructions explicitly. By planning ahead, we will have the time to get to know you and learn your goals and wishes. What are the different types of Power-of-Attorney? Financial Power-of-Attorney – Gives the agent the authority to make financial decisions for the individual. Healthcare Power-of-Attorney – Gives the agent the authority to make medical decisions on behalf of the individual. I am married. If I become incapacitated, my spouse can step in, right? Many people assume that a spouse or family member can just step in and take care of legal and financial affairs if the need arises. This is not the case. Without a Power-of-Attorney, your family may be forced to go through a costly and time-consuming court action to have a Guardian appointed to make decisions for you. If you do not have any family and have not named anyone to make decisions for you, you may be faced with becoming a “ward of the state” which refers to a person who is under the legal protection of a government agency. Executing a Power-of-Attorney document keeps you in charge when it comes to your own healthcare and financial decisions. 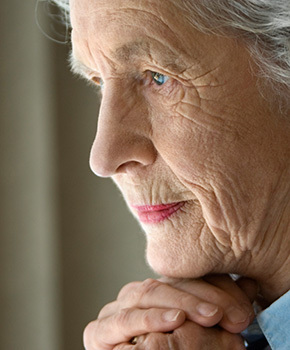 I have Power-of-Attorney for my elderly parents who live in North Carolina. I live out-of-state, and I’m having a hard time managing their care and finances from a distance. Can the Corporation of Guardianship help? Absolutely. Caregiving for a family member is no easy task, especially from afar. The Corporation of Guardianship can assist long-distance family caregivers by serving as the Power-of-Attorney’s liaison or proxy. In this role, the Corporation of Guardianship provides “on the ground” support and advocacy to assist the family caregiver in his or her role as Power-of-Attorney. Powers-of-Attorney are only as good as the agents who are appointed. Appointing a trustworthy person as an agent is critical. In many cases, this person is a spouse, an adult child, or a close friend. But in other cases, a trusted family member or friend may not be available to serve. Your family may live in another state or country. Or you may not have any close family or friends that can be trusted with this responsibility. You may simply want to spare your loved ones the burden of handling your affairs if you become incapacitated. Whatever the reason, the Corporation of Guardianship can offer you peace of mind, knowing that your future financial and medical decisions are in good hands. Do I need legal assistance in order execute a Power-of-Attorney? Officially, no – an attorney is not required, but it is always a good idea to consult an attorney for advice on the best way to tailor the document to your specific wishes. Does the Corporation of Guardianship charge a fee to serve as Power-of-Attorney? Where can I learn more about Powers-of-Attorney? Who May Need A Power of Attorney? Wants to avoid guardianship proceedings in the event that he or she becomes incapacitated in the future. The Corporation of Guardianship’s compassion for their clients far exceed that of most companies.